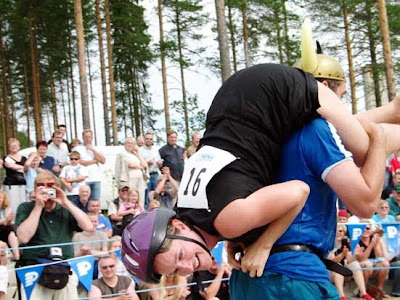 For whatever reason, the Finnish decided to invent a sport that involves men racing through an obstacle track, whilst carrying their better half. But it’s not as easy as hulking your loved one over your shoulder and speeding off – several types of carry are practiced: piggyback, fireman’s lift, or Estonian-style, where the wife hangs upside-down with her legs around the husband’s shoulders. 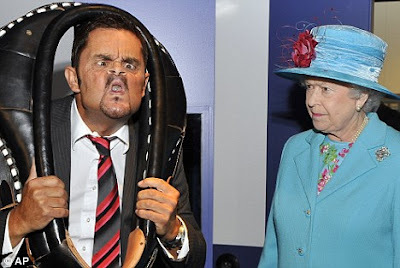 Only in good old Blighty would there be a competitive event of pulling faces. In this age-old rural English contest, competitors must wear a horse collar or ‘braffin’ and contort their features in the most mind-boggling way possible – bottom lip over the nose, chin pulled up to ear and eyes fully bugged out. Hey, you even get to meet the Queen if you're good enough! Still in the UK, we have competitive pea shooting, which takes place in the village of Witcham. The small green missiles are launched using a manner of shooters, toward a soft putty target. The traditional event, which started at a village fair in 1971, is not wasting time stuck in the past. 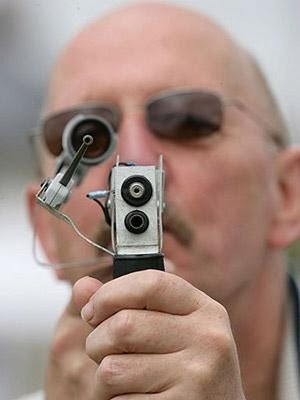 Nowadays entrants are using laser-guided shooters and home-made pea machine guns. 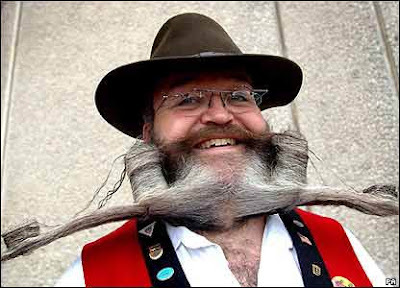 This beardy weirdy competition gives rise to thousands of carefully coiffed men, all vying for the title of most inventive and perfectly sculpted facial hair. Entrants include bearded renditions of the Golden Gate Bridge, Buckingham Palace, or just plain whacky handlebar creations. Why would anyone eat nettles? For a competition of course! And where else in the world to host such as strange competition than back in Britain – down south in Dorset. 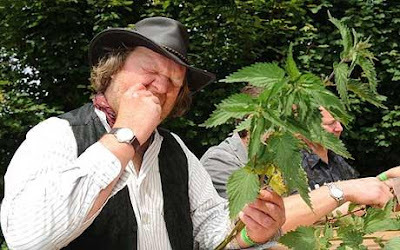 The competition, which brings in contestants from New York, Australia, Northern Ireland and Belgium, involves eating as many nettles as possible in the space of one hour, with only beer to quell the stinging mouth. Hey, at least they get beer! 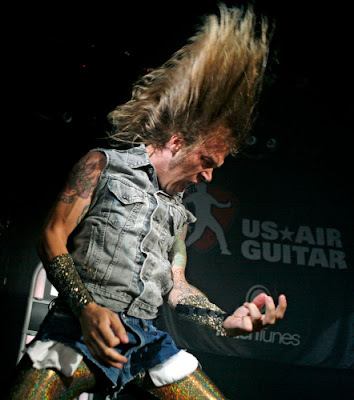 This preferred dance-move for all those with long hair and big boots officially became a competitive event back in 1996 in Finland. With rules such as “No back-up bands – air or real – are allowed” and “Competitors may finger pick or strum with either electric or acoustic – but all ‘real’ instruments are banned”, it’s obvious that these guitar heroes take the competition quite seriously. This school yard pastime, now referred to as Professional RPS by the pros, has even been broadcast by Fox Sports Net and sponsored by Bud Light. They even have their own website! Good old rock! Nuthin' beats that! How this lack-lustre ‘sport’ became a medal-worthy activity, I’ll never know. 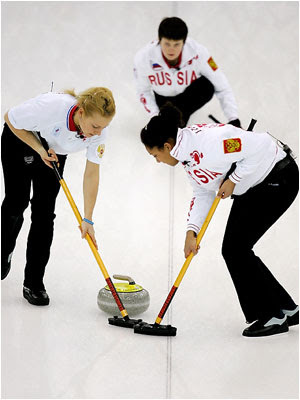 The object of the game is to slide heavy polished granite stones down ice, guiding them along by sweeping the ice with brooms. Sound bizarre? It is – yet it’s been an Olympic Winter Game sport since 1998. 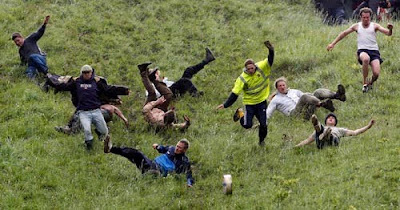 Back to Britain, where this curious and frankly dangerous competition sees hundreds of people throwing themselves down a hill after a wheel of cheese – often sustaining hideous injuries. The competitions usually take place in Gloucester, but have recently arrived in British Columbia, where the “Dairy Farmers of Canada” hosted their first Annual Canadian Cheese Rolling Festival in August. The fastest one to the bottom wins the cheese. 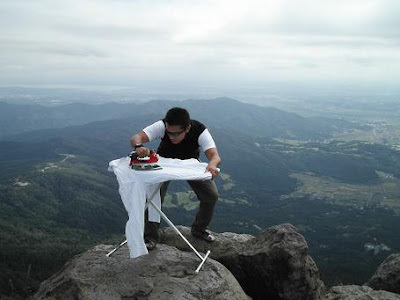 It was a tough call not including Extreme Ironing – or EI as it’s known in the industry, in my Top 10 Extreme Sports blog. But here it is! The website sums it up as “the latest danger sport that combines the thrills of an extreme outdoor activity with the satisfaction of a well-pressed shirt.” Competitors have taken their laundry on speed bikes, atop mountains whilst abseiling, on white water rafts, or done whilst break dancing.